As much as I wanted to make this dragon related I resisted and challenged myself to come up with something different. I had a clear idea in mind and went for it. 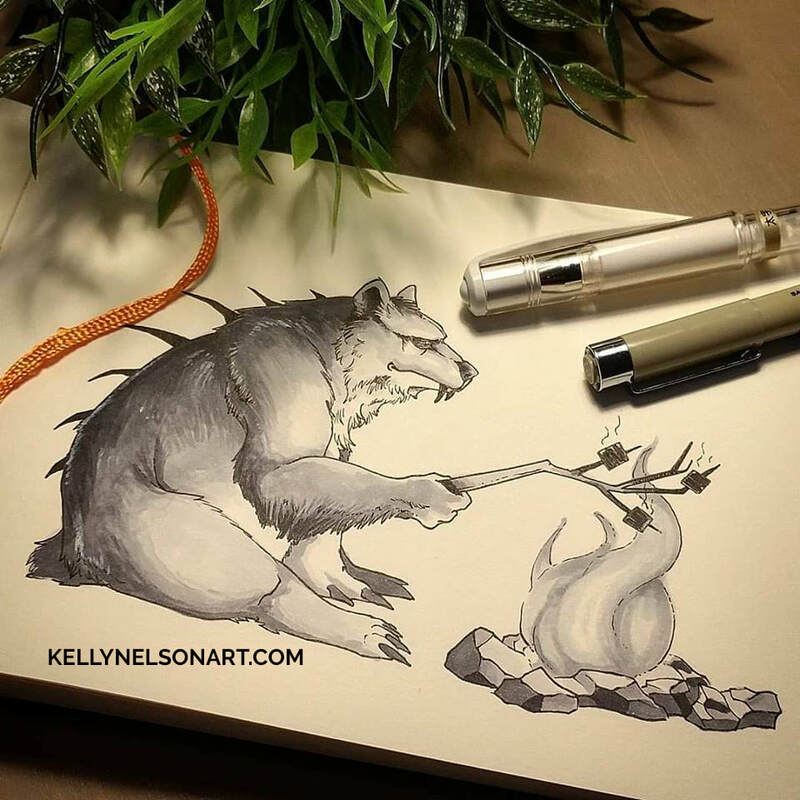 Here we have a Spinebear getting ready to consume it's favorite treat. Spinebears are naturally attracted to sugar and will stop at nothing to claim their prize. Overall, this piece came out alright. It's not as detailed as I would have liked but still illustrates the theme. I want to work more with the copics. It's easier to achieve great texture with them as well as tones. I also need to figure out a way to show fire without making it look like a solid. Smaller studies will help. Again I found myself short for time. My Tuesdays and Thursdays are back-to-back classes with little to no time to rest. After stewing on the "Tranquil" theme all day, I took the advise from a friend and kept it simple. I worked my way through the sketch, to the inking and then the tones without getting caught up in the details. 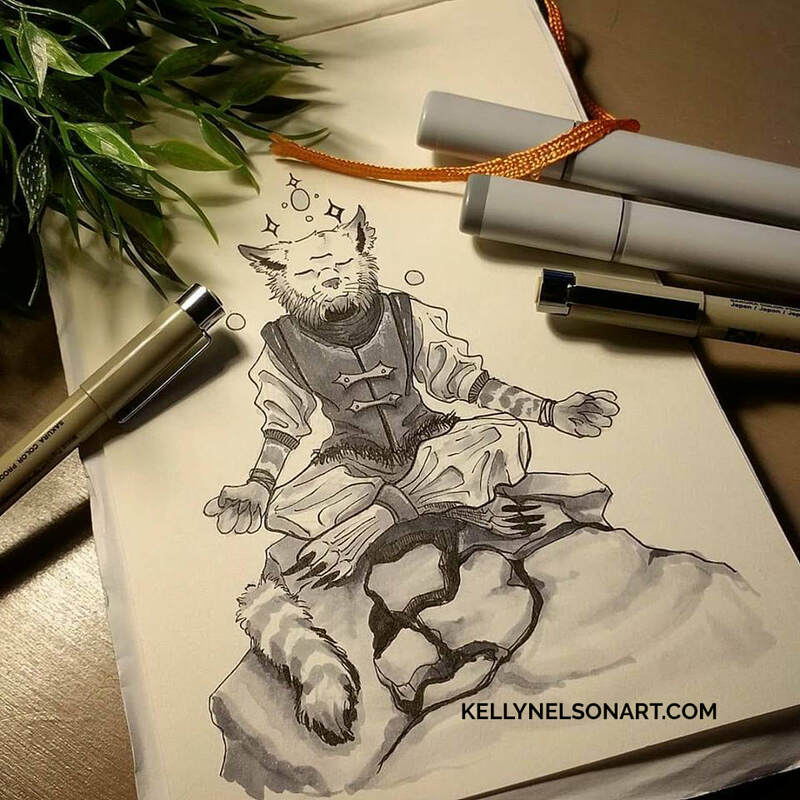 I wanted to draw something fun, so I came up with an anthromorphic, three-eyed cat person, meditating on some rocks. It's been ages since I touched my copics and I realize how much I miss them. Today's piece came together much quicker than yesterday's - but the quality of the undersketch suffered. As I continue this challenge I hope to find the right balance of time, preparation and final product. 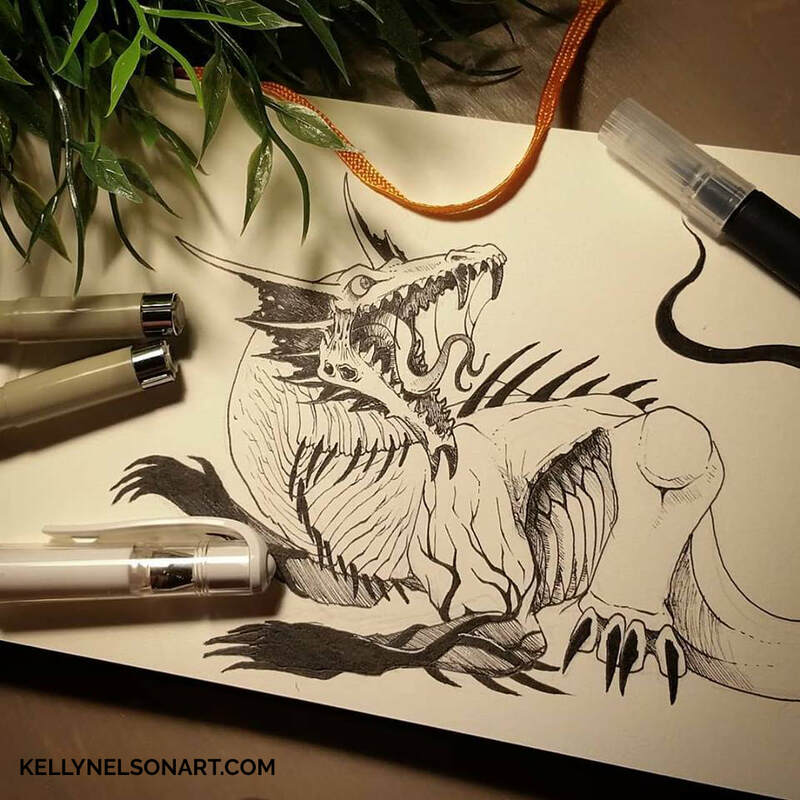 This year I will be following the official Inktober prompt and focusing on speed and quality of my line-work while trying to come up with something creative and fun each day. I have a bad habit of getting caught up in the details of a piece before it's done so that is another thing I will be working on. In years past, I have struggled to stay with the prompt and find the time to draw. This go around will be different. Today's theme was "Poisonous" - so naturally I went with a reptile of sorts. Personally, I think the only success with this piece was the head. I had a very late start and I rushed through most of it - which is why the hands lack and the rest seems unfinished. It's a rusty start - but it's something, and I'm hoping at the end of this challenge I will be faster with generating ideas and bringing them to completion on paper. I figured this would be a good snapshot of the "now" and all the things I need to work on. Speed, consistency, and overall design need work. I want to be consistent with my posts this year and make great art!